Entire country has been waiting for implementation of Goods & Service Tax (GST) for the past a few years. It is proposed to roll out by April 2016 across country. In this budget, we expect that FM will lay more specifics regarding the roadmap of GST implementation. With every state being a different country, it has a different tax structure. Once the GST is introduced, entire country is expected to have a uniform tax regime. At the moment, every state has different VAT rates and for inter-state the tax rates are different. For e-commerce companies, the warehouses are based in different parts of India and the customers are buying it from almost every corner of the country. If GST is introduced, state government will lose the autonomy. As per proposal, states will be allowed to levy an additional 1% tax on inter-state supply of goods for the initial two years (levied and retained by the producing states). These initial years, the tax structure will be very complex for e-commerce companies. However, once settled, everything will be very smooth and fast. GST regime will be win-win for government, e-commerce companies, and the biggest beneficiary will be the consumer. We hope that this will not only minimise the cascading effect of taxes, but will also help consumers as the prices will reduce and consumption will increase. We hope that the new regime of GST will discontinue the existing ones (CST, VAT and other taxes). As an impact, it is expected to contribute to the growth of India's GDP in the coming years. At present, e-commerce is still an emerging industry. In the service sector, directly and indirectly, e-commerce industry is generating a lot of employment with each passing day. To further boost the industry, more investment is needed. At the same time, country also needs FDI. 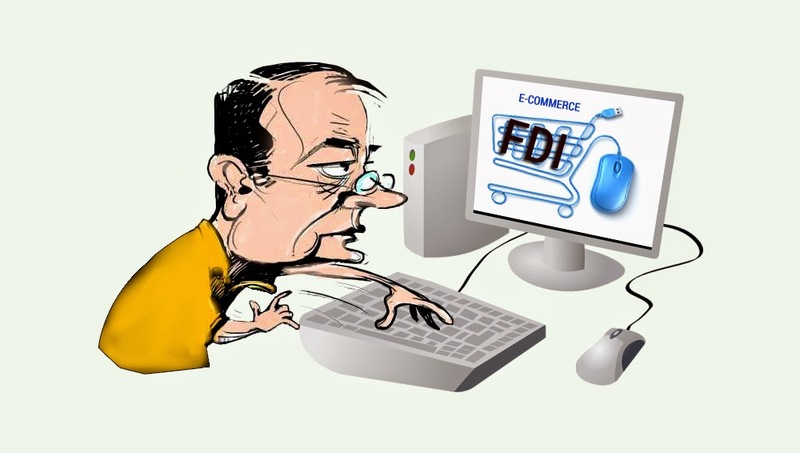 To make it a win-win situation for all classes of the society, we are expecting that the FM will allow foreign direct investment in e-commerce. This will help in generating more employment, increase investment in the country, and will further standardise the quality of life of the consumer. As the Hon. Prime Minister of India, Narendra Modi believes in free market economy, the idea of FDI in e-commerce is expected to be implemented. There are many rising brands across country, keen to expand their presence worldwide. They need encouragement from government to create worldwide presence. At initial stage, e-commerce is the best solution for it. It is not necessary for everyone to have a physical presence worldwide, but through an online presence, small scale entrepreneurs or aspirational brands can reach and international audience, and cater to global needs. Hence, we expect FM to give some relief to promote e-commerce technology for Indian brands to 'Make in India' and export. The last decade saw a mass emergence of amateur photographers, thanks to the market that's flooded with affordable cameras with user-friendly image capturing technology. Usually, people want to try their hands on the low priced cameras and once the comfort level rises, they upgrade to the higher versions. Few years ago, the entry level cameras used to come with 10 mega pixels. Now, the entry segment has got at least 16.1 mega pixels. As and when technology is developed, the price of the cameras reduces. Hence, it is expected that in coming years, the entry level cameras might have almost DSLR kind of features. But that may take some time. Hope that camera makers fulfill our dreams. In addition, it was seen that in the last one year, the cameras in the price range of Rs 5,000 and Rs 10,000 were easy to carry and very user-friendly, and enjoyed the highest share in the total sales the cameras. Compact cameras in this price range enjoyed about 40% share of the total sales of cameras. Usually, in this price range, the cameras have 16 to 20 mega pixels, which varies from brand to brand and features. All major brands offer cameras in this price range. The Cyber-shot series by Sony is the most popular among compact cameras. It seems, no one can beat Sony in as far as compact cameras are concerned. 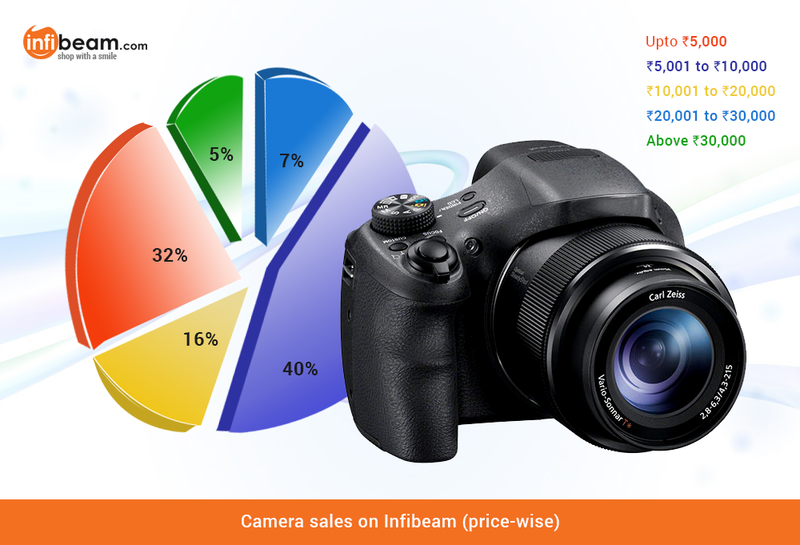 The second largest compact camera selling brand in India is Nikon. While in DSLR, Nikon and Canon top the chart. However, cameras from Panasonic and Fujifilm also have about a double digit share of the total sales. Despite mobile phones consuming a large part of camera sales, the demand for compact cameras is increasing and so are their sales. However, only the DSLRs priced Rs. 35,000 and more, are picking up sales in double digits, because they come with special lenses and features. Their price is a tad higher than the affordable ones and so the profit share of DSLR or SLR cameras is below 10% when it comes to online segment. On the other side, cameras in price range of up to Rs. 5,000 are the second largest in the total sales. This price range has over 30% more shares. Cameras priced at Rs. 4,000 and Rs. 9,999, together have a share of over 70% in the total online sales in the country. In the subcategory of Rs. 5,000, the cameras have less features. Nonetheless, now even the basic cameras have at least 16.1 mega pixels with 5x optical zoom. Category-wise, overall compact cameras have a share of over 80%. The second largest category is DSLR, followed by camcorders and mirror-less cameras. With Truly, Madly, Deeply, esteemed writer Faaraz Kazi, made a stunning début and how! Kazi went on to win the 2013 National Début Youth Fiction Award and received the YCOF National Excellence award in Creative Writing. He is also first Indian author to have won coveted ‘Best Début (Romance)’ title at the international Goodreads choice awards. 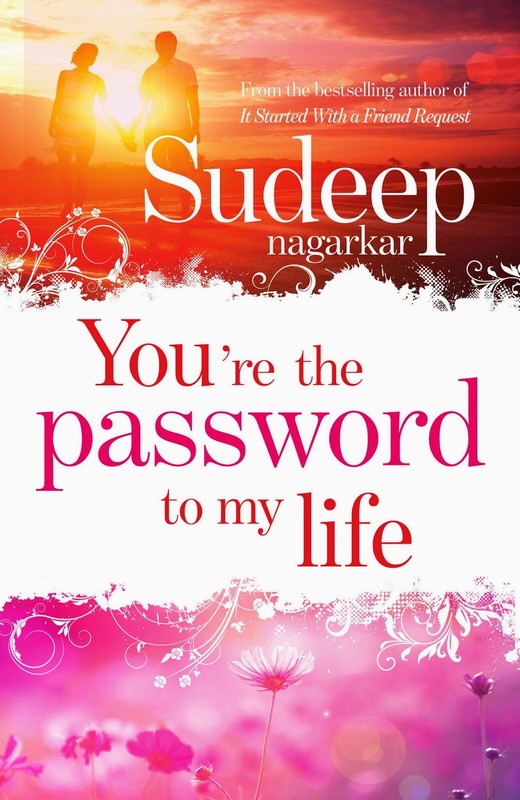 His book Truly, Madly, Deeply, won him the tag of being called the 'Nicholas Sparks of India.' So far, it is the only Indian book to have been nominated in 7 categories at the Goodreads choice awards. It is also the only Indian book to feature in the 'Top 100 YA Global Fiction' list. Kazi is a fellow member of the prominent 'Film Writers Association of India.' He is a three-time post graduate and also a certified soft-skills trainer. In addition, Kazi is the founder and CEO of DigiImprint Solutions, India's first exclusive promotional agency for authors and artists. He is a well-known personality in literary fraternity and on social media. Kazi, one of the top rated mainstream male romance writers in India, is a voracious reader and loves to sing. He is a young marketer who owns a radically innovative blog, and writes for major media houses. Que: Your first two books, Truly Madly Deeply... Memoirs of a Broken Heart's First Love! and The Other Side have tasted immense success. What inspired you to take up writing? Faaraz Kazi: I guess I was born with the thirst to search for my life's mojo through the art of writing. I first took up the pen when I was seven but before that, I started reading. I started small with fairy tales and comics by the age of five and by ten, I was reading classics. So many words, so many writers influenced my young mind. After relating to various stories at so many different levels of consciousness, writing became a hobby. Inspiration thus, wasn't far away. Que: Your third book Love: Lots of Volatile Emotions is about to release on Valentine's Day. Tell us what the book is about. Faaraz Kazi: LOVE is a one-of-a-kind project. It is a cross genre anthology that ties all the stories together by that single emotion of LOVE which multifaceted in nature. The perception of this emotion is what is volatile through the lenses of the fourteen writers in this anthology who have contributed a story each. It gives a key perspective on how people view love these days without tying the emotion specifically to one genre, i.e. romance. Que: What inspired you to write this book? Faaraz Kazi: I wrote 'The Doorway' (my story in the LOVE anthology) two years back for the international magazine, L'Officiel. The one featured here is an improvised version of the same story. Around that time, I was working on too many short-stories and the idea was to bring out a romance collection of short-stories all by myself but when I started finalising the project, I realized that there were too many short-story collections and even anthologies in the market dealing with the same kind of subject. I wondered what could I do to make it unique as my previous two books? The idea to take the perspective of thirteen other writers across genres came to me one fine day after a lot of thought and I realized this hadn't been done before. And LOVE was born. Que: Whom do you intend to reach out with this book? Faaraz Kazi: Anyone and everyone who believes in LOVE and is not married to the idea of love as a limited and weak emotion. Que: How did you research for the contents of the book? Faaraz Kazi: My primary research lies in the power of pure observation as I believe, a good writer should be a great observer. I follow three steps- Learn, Adapt and Write. Que: Since your books are mostly about love, are they inspired from your own life, or someone close to you? Faaraz Kazi: My books are inspired from real-life. Circumstances I observe, people I meet and things I discover in my travel. But I cannot say that they are true because at the end of the day I write fiction and truth is what you seek from fiction. Que: You must be a bookworm yourself. Tell us about your favourite writers and what you like about them. Faaraz Kazi: I love Khalid Hosseini for portaying the life of Afghan people through his beautiful words and making us more human than we realise. I love JK Rowling for her imagination and the sheer power to create new worlds out of vacuum. I love Nicholas Sparks for making us believe in love through his simplistic way of writing. Que: As a write, what do you prefer more: typing or the pen? Faaraz Kazi: The pen. My first drafts are all written by hand. I edit when I type them out. Que: With praise comes criticism as well. How do you deal with it? Faaraz Kazi: I learn from the useful ones. I ignore the rubbish. Que: You have been called 'the Nicholas Sparks of India.' How does it feel? Faaraz Kazi: I take it with a pinch of salt but if people feel so then nothing is as great a honour because he is one writer I've grown up reading and I admire him a lot. Que: What would you tell those who aren’t passionate readers or those who are reluctant to pick up a book and begin reading? Faaraz Kazi: Give reading a chance. There are entire worlds waiting for you there, new discoveries to be made and new bonds to be formed. Read a good book and watch your life transform before your very eyes. Usually people prefer to buy a new television during festive season but there are occasions when the demand rises with different reason. This time it is ICC Cricket World Cup, starting from February 14, 2015. It is expected that before world cup begins, the demand for TV will rise by over 30% compared to normal days. Those who have the old TV sets are upgrading to LED and while some have chosen to upgrade to LED HD TV which gives better resolution for watching live cricket matches of India. In a recent survey done by Twitter, it was once again discovered that Cricket is the biggest religion in India. As per the survey, about 89% of Twitter users in India are cricket fans and about 84% of cricket fans on Twitter are intending to follow the Cricket World Cup. More than 65% will maintain or increase their Twitter activity during world cup. Similarly, every house of the country is going to watch the Indian matches during the world cup on TV. In last one year, it was found that 32 inches LED TV are the hot favourite. Of the total number of TV sold, the 32 inch screen TV has a share of about 33%. At this moment, the 32 inch TV prices range between Rs19,000 and Rs42,000. While at Infibeam.com, the TVs are available with discount of up to 20%. The second most popular TV screen is of 22 inch. It has a share of 29%. While the 24 inches and 42 inches TV, both have share of 12% each. The price of the 22 inches and 24 inches starts from less than Rs10,000 and goes up to Rs22,000, depending on combo and other offers. The large size TV, wherein the price is Rs45,000 onwards, has less share in the total sales. However, the demand for large size LED TV is also rising with double digit growth. Before and during world cup, it is expected that the sale of TV, home theatres and sound system will keep on rise. Every Indian is hoping that the team of Men in Blue will bring the world cup home again. Infibeam wishes MS Dhoni & Co all the best. 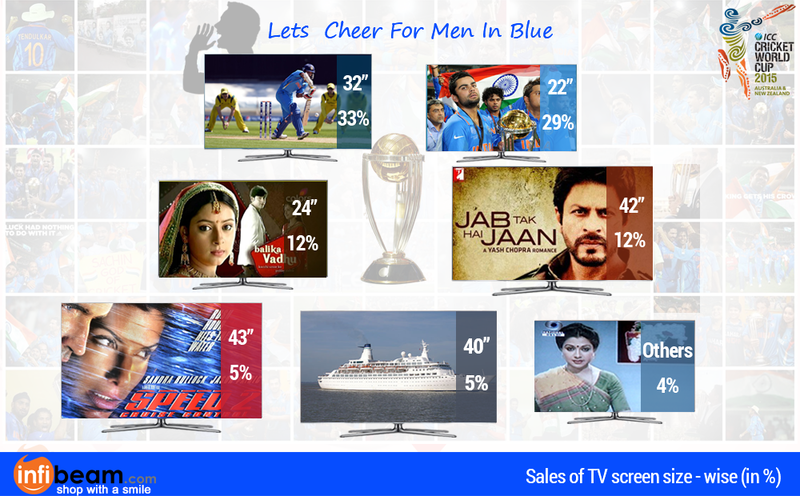 Cheer for Men in Blue! 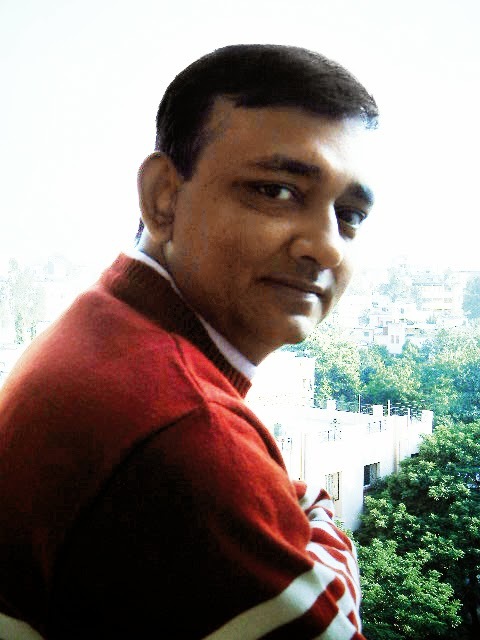 Writer and editor, Biswadeep Ghosh, has been in the industry for the last 25 years. He gave up a career as a singer to become a journalist at the age of 18, and since then has been keenly writing on literature, movies and music. 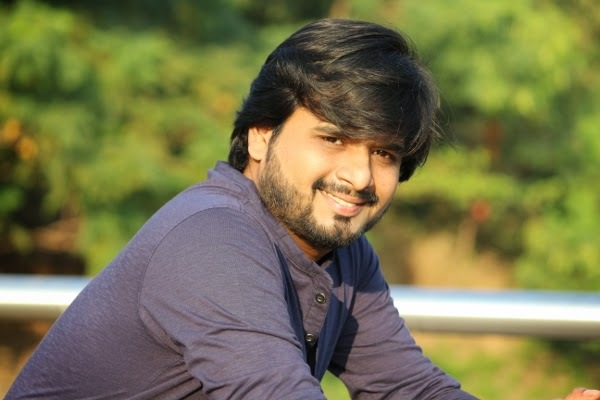 Along with an illustrious career in niche publications like The Times of India, Maharashtra Herald, Outlook, & Hindustan Times, Biswadeep has authored four biographies of Bollywood actors Shah Rukh Khan, Salman Khan, Aishwarya Rai and Hrithik Roshan, and two children's book. His latest biography MSD: The Man, The Leader has been the talk of the town these days for the obvious reason that it's the biography is the man of the moment, the Indian skipper Mahendra Singh Dhoni. The book has released right before the beginning of the World Cup 2015, and has been generating plenty of curiosity. Que: Why did you choose MS Dhoni as the subject of your next book? What made you think that Dhoni's story could be worth a tell? Mr. Biswadeep Ghosh: The inspirational quality in it. Here is a man whose father was once an unskilled worker in Ranchi. He was a decent student and a fine natural sportsperson who excelled in cricket. But he had to dump the thought of completing his graduation and become a Train Ticket Examiner at the Kharagpur Railway Station to support his family. He hailed from Jharkhand and played most of his cricket for Bihar’s Ranji team during his days as a struggler in first class cricket. Bihar as we all know is a cricketing non-power. To rise from there and become the captain of the Indian cricket team is incredible. In fact, he is so unique that his story has been turned into a case study in some B-schools. Naturally, therefore, I was attracted to the subject. 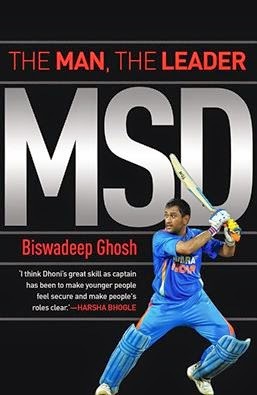 Que: Which aspects of Dhoni does your book MSD: The Man, The Leader cover? Mr. Biswadeep Ghosh: Like I said, the story is inspirational, and the book makes that point in simple language which anybody with basic knowledge of English can understand, internalize and learn from. It covers his background in Ranchi leading up to his growth as a cricketer in his hometown, journeys to Kharagpur where we get to see a young Dhoni and talks about his cricketing highs and lows with Team India thereafter. It has a chapter on his stature in his hometown today. He is a God in Ranchi who is not meant to be criticized, which contrasts with his life in the initial stages, has a separate section which analyses his leadership in a larger perspective by talking to established names both within and outside cricket, and concludes with a chapter on a view of his stardom and some thoughts about his future. The structure is slightly different from the run-of-the-mill biography. Que: Tell us about the research you did for the book? How long did it take, and how did you go about it? Mr. Biswadeep Ghosh: It started with a trip to Ranchi. During the initial phase of the book, I was helped by a hardworking Ranchi-based lawyer-journalist Chandrajit Mukherjee who worked as a researcher and had been hired for that purpose by the publishers Rupa Publications. After that, it was all about extensive research and establishing contacts. Several well-known names from the journalistic fraternity helped me along the way. They are old friends, three of them close to me for two decades and more. It was very kind of them, and I have mentioned their names in the acknowledgments, which is the only, highly inadequate thing I can do in return. Que: There are few controversies surrounding the Indian skipper. Have you covered them in the book? Mr. Biswadeep Ghosh: This book doesn’t ask unanswered questions. It is about a man from nowhere who has reached where he has, spreading a message of hope for aspiring cricketers from modest backgrounds who play for or in states that are obscure in the context of cricket. Today, they can dream big. If they have the talent, they can believe that they can rise to the top and become a success story like Dhoni has. In fact, his is a story that can motivate anybody from any field. Of course, he or she needs to have genuine gifts and self-belief, neither of which can be acquired easily. Que: As the Indian Cricket team's captain, where does Dhoni really stand? Mr. Biswadeep Ghosh: See, the debate on good and better captains of India will be an eternal one. But, let there be no doubt that Dhoni and Ganguly are the most successful captains ever. If Ganguly had an excellent overseas record while Dhoni’s has been ruined in recent years because the newcomers have failed to replace the seniors who faded away one way or the other, he has the best home record in Tests, has won all the ICC trophies and taken the team to the number one position in Test rankings for the first time ever. There are many more, which will extend the debate even further. Que: Is the book a good read for those who are not familiar with cricket vocabulary? Mr. Biswadeep Ghosh: Of course. Even those with a passing interest in cricket - by that I mean, elementary knowledge of the game - can enjoy it since it is jargon-free, and like I said earlier, written in very easy English. If the average reader didn’t understand what the book was all about, the purpose of writing it would have been defeated. Roses are red and red is the colour of love on Valentine's Day. Many celebrate it by wearing red on that day. Even the gifts from husbands or boyfriends to wives or girlfriends are preferably red in colour. Interestingly, among apparels, red lingerie were the most in demand on Valentine's Day in 2014. Apart from jewellery, soft toys, cakes, chocolates, roses, bouquets and other gift items, the demand for apparels is also good during this period. Starting from February 1 to February 15, in 2014, lingerie contributed about 30% of the total sales. Among lingerie, red colour was the most favourite. Under the categories of apparels, the sub-category of lingerie, night-wears and inner-wears had a share of about 30%. Followed by frocks, dresses and dress materials with 25%. The most common trend reveals that over 60% of total sold items online are bought by men to gift to their beloved on Valentine's Day. The third top favourite category in apparels is Sarees & Lehngas. This sub-category shares about 22%. This makes true that top three sub-category of apparels bought before Valentine's Day, are for women. In all top three sub-categories - lingerie, frocks & dresses and sarees & lehnagas, it is found that red colour dominates the choice. Rest other sub-categories like jeans, t-shirts, tops, kurtis and others have less than 23%. This year too, lingerie are expected to top the chart of the total sales of apparels before Valentine's Day, which falls on Saturday on February 14, 2015. Considering all the items including chocolates, teddy bear, flowers, apparels, the price of the gift items is ranging between Rs.250 and Rs.35,000 per item. While in apparels, after discount the price starts from Rs.400 and goes to Rs.2,000 and above. This includes frocks, dresses, dress materials, sarees, lehangas, kurtas, kurtis, ethnic wear, t-shirts, tops, jeans, formal wears, lingerie, nightwear and many more. At whatever price, men buy Valentine's Gifts, the best friend of women will always remain diamonds. Hence, woo your Valentine! Shop for Valentine Special. Infibeam wishes you all a happy Valentine's Day. The year 2014 has seen a drastic rise in number of online consumers buying it from mobile phones while the share of number of transactions from Personal Computers is reducing. The number of people buying from Infibeam from their mobile phones has seen over 90% growth. It has almost doubled. Of the total share of number of transactions in 2013, the sale request from mobile phone had contributed about 9% which increased to over 18% by the end of 2014. People buying online on tablets has marginally increased from 2.70% in 2013 to over 3% in 2014. But, the share of sale through PCs or desktop has decreased. Over 88% Infibeam consumers were buying from PCs until end of 2013. By the end of 2014, it reduced to about 78%. 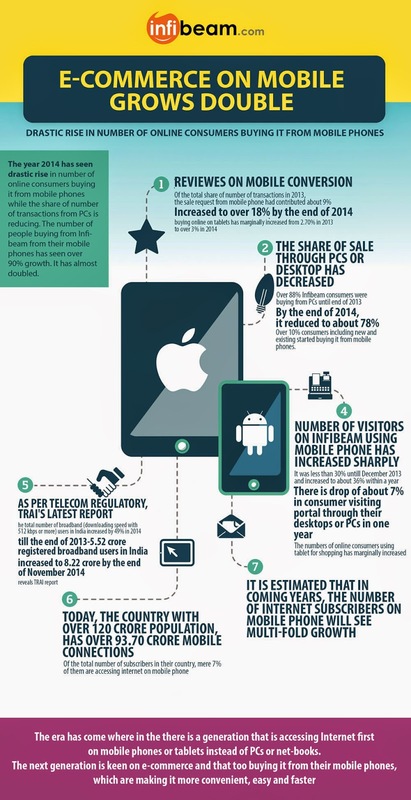 Over 10% consumers including new and existing started buying it from mobile phones. Even the share of number of visitors on Infibeam using mobile phone has increased sharply. It was less than 30% until December 2013 and increased to about 36% within a year. There is drop of about 7% in consumer visiting portal through their desktops or PCs in one year. The numbers of online consumers using tablet for shopping has marginally increased. Sharp and tremendous growth in online buyers shifting from desktop to mobile was obvious. Across India, the total number internet subscribers on mobile phone has increased by 65%. Till the end of December 2013, there were total 4.02 crore broadband subscribers on mobile phone. That increased to 6.65 crore till the end of November 2014. As per TRAI's latest report, the total number of broadband (downloading speed with 512 kbps or more) users in India increased by 49% in 2014. There were total 5.52 crore registered broadband users in India till the end of 2013 which increased to 8.22 crore by the end of November 2014, reveals TRAI report. The era has come when there is a generation that is accessing Internet first on mobile phones or tablets instead of PCs or net-books. The next generation is keen on e-commerce and that too buying it from their mobile phones, which are making it more convenient, easier and faster. Today, the country with over 120 crore population, has over 93.70 crore mobile connections. Of the total number of subscribers in India, mere 7% of them are accessing internet on mobile phone. It is estimated that in coming years, the number of internet subscribers on mobile phone will see multi-fold growth. Hence, there is a huge potential of e-commerce on mobile as the number of online buyers will continue to rise in the country.